for $489,000 with 3 bedrooms and 3 full baths. 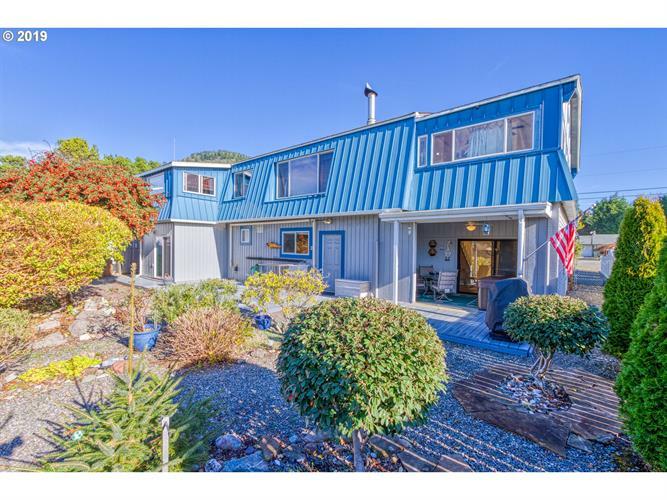 This 2,046 square foot home was built in 1982 on a lot size of 0.2600 Acre(s). FANTASTIC LOCATION in BEACHSIDE NEIGHBORHOOD. Direct access to DEEDED BEACH pathway. Home is currently being used as a vacation rental. Oceanview home is warm, inviting and ample room for family and guests. Eye catching cedar living and kitchen area. Great special features: Soft closing shelves, tiled hall bath with large shower. Jetted tub, electric fireplace in master suite and cedar closet. Fish cleaning station w/outdoor hot tub.